Ren Corbin has a great life as the alpha’s right hand. He’s enjoying his life, but he knows it’s beyond time to find a mate and settle down. During a spring full moon, he senses someone in the woods and knows it’s his truemate. It doesn’t matter to him that she’s a fae and not a wolf; he only cares that she’s gorgeous and she’s his. Kismet Thorburn, a nature-controlling fae with copper-tipped white wings, can’t stop thinking about Wilde Creek or the wolf she dreamed about. When she hides in the woods outside the alphas’ home to get a glimpse of the male from her dreams, he senses their connection and finds her. Ren and his wolf are both crazy about Kismet. Marking and mating her is as important to him as breathing, and starting their new life together is everything he ever hoped it would be. 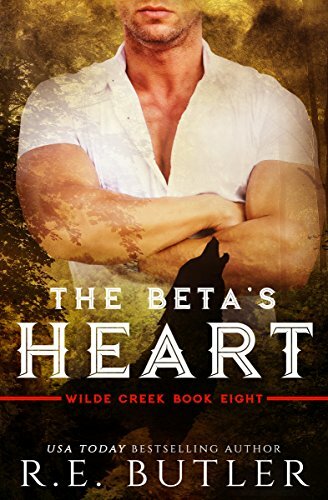 When a new wolf pack requests a meeting with the Wilde Creek alpha, Ren’s surprised to see his ex is the alpha and has him on her mind. When his ex makes trouble, Kismet and Ren must fight to stay together. Can their new love last, or will all be lost in the woods of Wilde Creek?